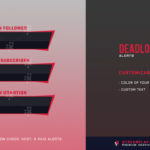 The Deadlock stream alerts are designed with a traditional layout, with a bit of flair to give your stream a bold look. 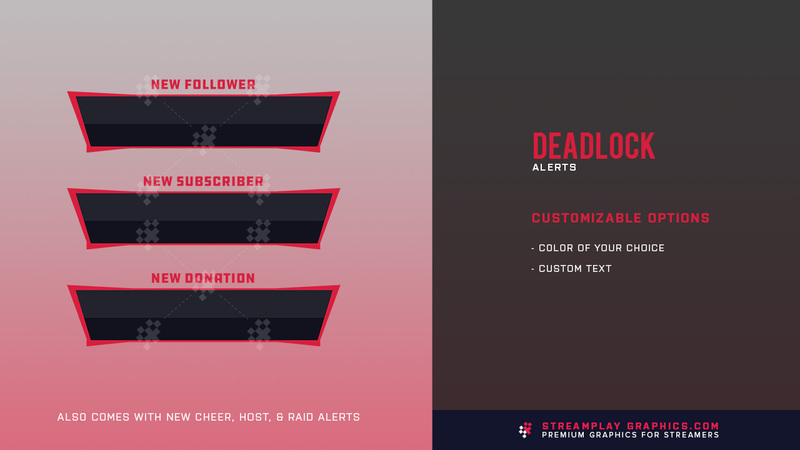 These alerts will work perfectly with your favorite streaming apps like Streamlabs, StreamElements, Muxy, etc. 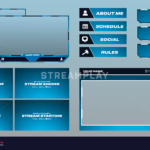 and platforms like Twitch, Mixer, YouTube, and Facebook. With this option you’ll be able to instantly download all 6 alert types that will look exactly like the preview image above, plus you’ll get the PSD file so you can make any edits yourself. 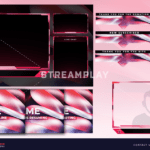 Includes 6 alert graphics (.png files) + the PSD file for editing.